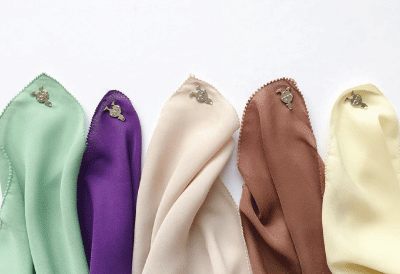 The dUCk Group consists of two brands - dUCk Scarves and dUCk Stationery. It is the new cool for lifestyle wear and living, oﬀering both scarf collections and stationery in exciting designs and colours inspired by the life of dUCk’s brand ambassador, D – an urban chic, cool and stylish, fashion forward entrepreneur who enjoys the lil’ dash of luxury in life. Recently featured in BBC and the New Yorker, dUCk Scarves delivers beautifully made scarves, ranging from Premium Basics in a wide variety of colours to unique Limited Edition prints, as well as high-quality scarf inners. Each colour and design is inspired by the stories and adventures of D! dUCk Stationery oﬀers quality organisation tools and paper products in stylish designs. Organisation is a crucial element of productivity and we understand too well how life can get hectic with so many things to remember and too little time to do them. dUCk Stationery provides the solutions to keeping life pro-dUCk-tive by staying organised and clutter-free. Locate us here!